Event Date: Saturday, 14 April 2018 at 9:00 a.m. 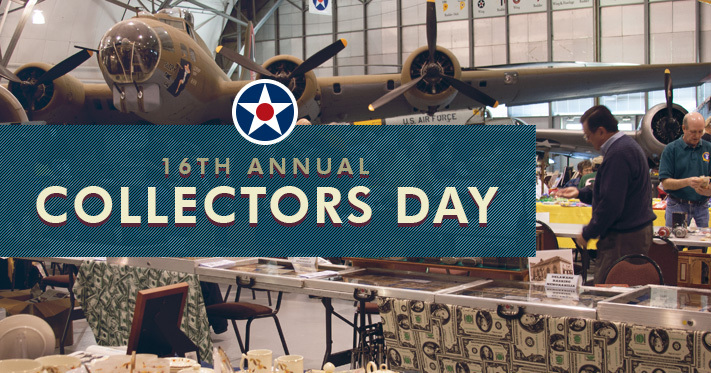 Whether you collect things yourself or just want to see what others collect, you should come to the AMC Museum on April 14th for our 16th Annual Collectors Day. This free event is open to everyone. You can bring your own collection of sports memorabilia, Beanie Babies, or early American currency. This family-friendly event may leave you scratching your head, or it may remind you of some hidden treasures packed away in your attic. In either case, come on out and join the fun. Over the years participants have shared collections of turn-of-the-century post cards, WWI uniforms, pocket watches, trench art, model aircraft engines, and sunflower jewelry. All Delmarva residents are encouraged to bring their favorite collection to the museum and share it for the day, or just drop by and check out everyone’s personal collections. You may discover someone shares your interest or you might find a new hobby. For additional info email the museum at amcmuseum@us.af.mil. Free table space may be reserved in advance. You can receive a table registration form by clicking the link below, emailing amcmuseum@us.af.mil, or stopping by the AMC Museum. There will be prizes for best overall exhibit and most unusual collection. Set up starts at 7:30 a.m. and doors open at 9 a.m. Tear down is at 2 p.m. No weapons or inappropriate material.